Surfing is so much more than just a sport. It’s a way of life. Subsequently, it’s no surprise that people have been talking about surfing and its impact on their lives since it’s inception. Recently, we spent some time researching the history of surfing. 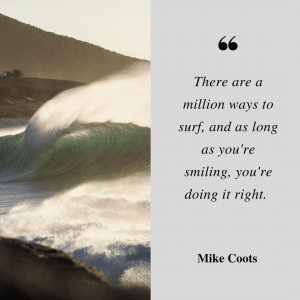 While scrolling through the world wide web, we came across some famous surfing quotes that totally resonated with us. We decided to make them look good, and share them with you. 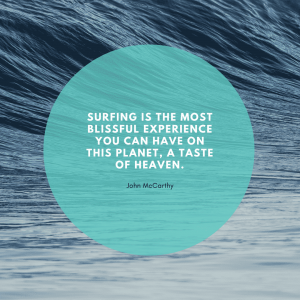 Read below for a list of our top 10 most inspiring surfing quotes. 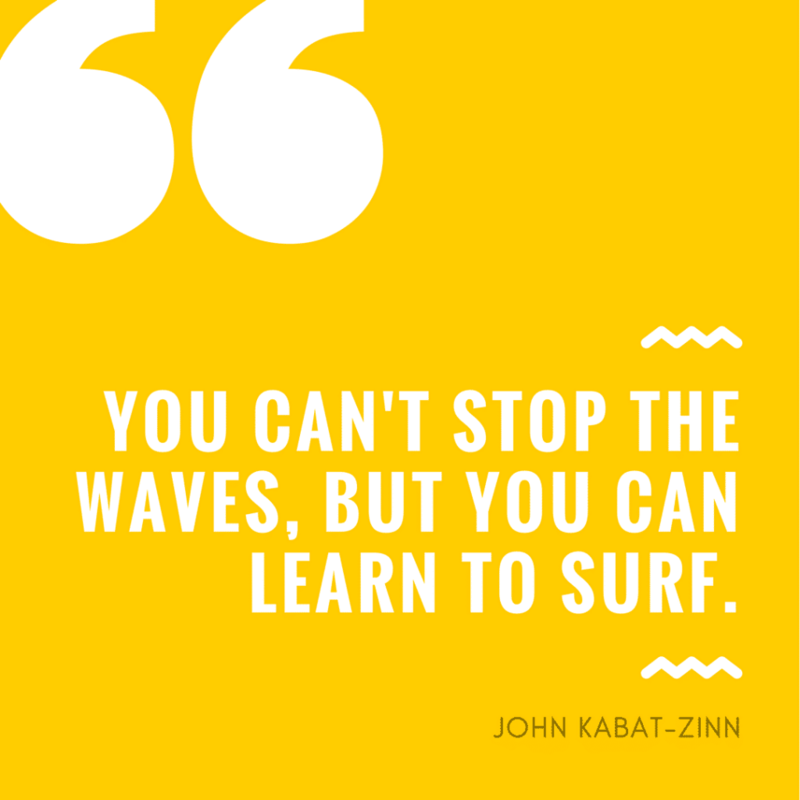 John Kabat-Zinn dropping some knowledge bombs. Challenges are inevitable in life- what’s important, is how you react to them. This surf quote couldn’t be more true. Surfing is as much a mental thing, as it is physical. It’s about overcoming the weaknesses of your mind, and embracing your passion for life. 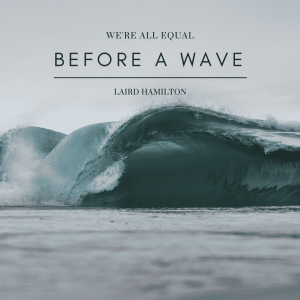 Laird Hamilton puts this notion into words perfectly with this famous surfing quote. In this short life we have, what’s the point in surfing (or doing anything for that matter), if it doesn’t make you happy? It doesn’t matter how you’re doing it, if you’re having fun while riding a wave, you’re doing it right. At South Africa Surf Tours, we’re all about having a good time in the water, regardless of what wave-riding device you choose to use. 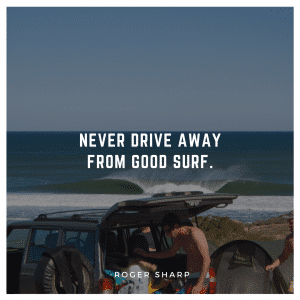 We’re sure any surfer would agree. There’s nothing quite like it. Something to think about next time you’re faced with an intimidatingly heavy set. 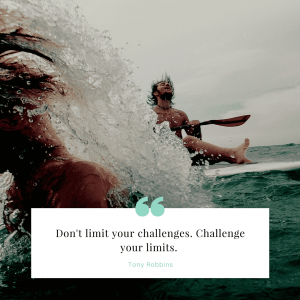 We love this quote by Tony Robbins. It’s relevant not only to surfing, but to life in general. If we never push our limits, we’ll never grow. 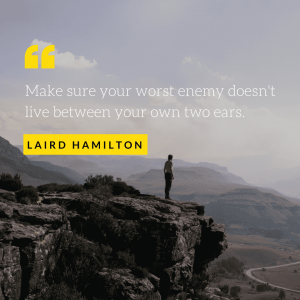 Some wise words from Laird Hamilton- one of the most famous wave riders in the world. He’s challenged unridden waves and defied death on countless occasions, the guy knows what he’s talking about. If you’re going to pay attention to anyone’s surfing quotes and advice, this guy is the one to listen to. 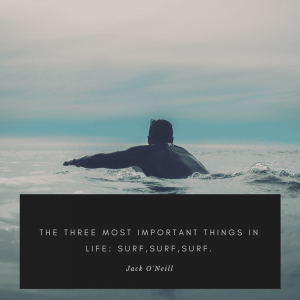 Any wave rider will know the truth in this famous surfing quote by Jack O’Neill. You’ve simply got to keep your priorities in check. 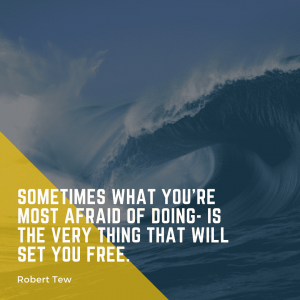 Have you seen any inspiring or accurate surfing quotes that you think we need to add to our list? Comment below, we’d love to hear from you. South Africa Surf Tours offers custom surf tours in South Africa and Namibia. We specialise in showing you the best surf spots in South Africa, guided by experienced locals. Our surf trips cater to all surfing abilities.